The Nashville Real Estate Market is tough for buyers right now. In the last nine years, we have gone from one extreme to another and back again. Metro Nashville currently has 10,407 homes for sale. That might see like a lot, until you find out that we had more than 15,000 homes on the market only 4 years ago. With all of the well deserved accolades, more people than ever are flocking to Music City to make it their home. Millennials are starting to enter the market after years of holding out. A flood of investors (many of them out-of-state) have made a significant stake in the Nashville market. Builders are still a few years away from being able to catch up with the demand. The Nashville Real Estate Market is now the perfect storm of too much activity and not enough availability. But there is calm at the center of the storm. To find the center, you need to use the right tools and have the right partners. It is still not going to be easy, but it will be well worth the effort. 1. Avoid the Pre-Approval Letter. It is too easy to get a pre-approval letter and this makes them virtually useless. Instead you want to get “Underwritten” for a loan before you start looking. Companies like Movement Mortgage underwrite the loan in the beginning, instead of the end. Since all of the work is completed up front, you have a significantly higher chance of receiving final approval and you can close in half of the time of a traditional mortgage. The underwriter buyer is better option to the seller than a traditional mortgage. It is a great way to set yourself apart from the competition. The best Realtors will use this leverage with the seller and their agent to properly position you as one of the best buyers. 2. Do not look at Zillow. I know that it is tempting because the site is so fun, but Zillow will only bring you headaches and heartaches in this market. Based on a recent study by the WAV Group, Zillow (and other national portals) only display 80% of the available homes in any market. The listings are delayed by an average of 7 – 9 days, and 36% of them are no longer for sale. Zillow‘s accuracy is alarming even when considering their internal data. 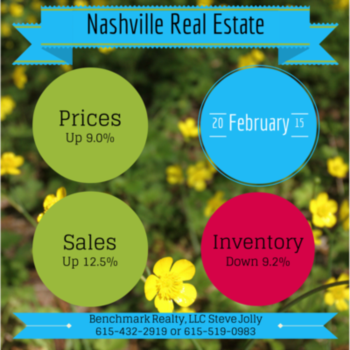 In Nashville, the median error rate is approximately +/- 7% of your sales price. If your home is worth $400,000, Zillow could report values as low as $372,000 or as high as $428,000. That is HUGE! In the most competitive neighborhoods, most homes will already be “under contract” or have multiple offers in a week. The best Realtors will be sending you alerts directly from RealTracs, the MLS for Middle Tennessee. The best Realtors will be constantly reviewing the hot sheets and networking to find the best homes first. 3. Move Quickly. This means so much more than scheduling a showing on the first day of the listing. Sit down with your agent in the beginning to review the contract and fill in most of the blanks. Ask you agent to provide a Comparative Market Analysis of the price of the home as soon as you know you are interested. Complete your investigation of the schools, neighborhoods and anything else important in the beginning of the process. Having a plan and preparing early will allow you to act quickly without hesitation and limit your mistakes. 4. Move Confidently. With the first three steps complete, you should feel good at this point. Much hard work was completed on the front end. With much confidence, it is time to find the right home for you. When you find the home of your dreams, use the Comparative Market Analysis to set a strong offer price for your home. Do not get me wrong, I am not advocating that you pay more for the home than it is worth. A strong offer early in the process is intoxicating to the seller. Leveraging your “Underwritten” approval, make your offer so irresistible to the seller so they have no hesitation. Even one days delay in this market can be the difference in a contract or a bidding war. Avoid the haggling, beat out the other buyers and get the home of your dreams with a strong offer. Don’t let this market overwhelm you by working with the wrong partners. Otherwise, you can search the MLS here (with 99.9% accuracy).